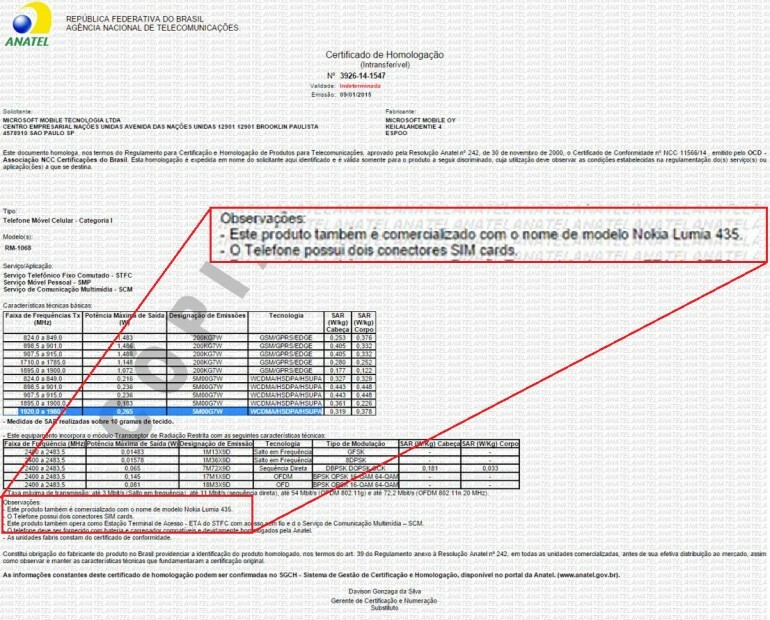 What appears to be a new budget smartphone from Microsoft has appeared on the database of ANATEL, Brazil’s equivalent to SIRIM. The Lumia 435 is rumoured to be the successor to the current Lumia 535, although it is unclear if it is meant to be a replacement or an even lower-cost version. The Lumia 435 is expected to be a dual-SIM device with a 4-inch display. 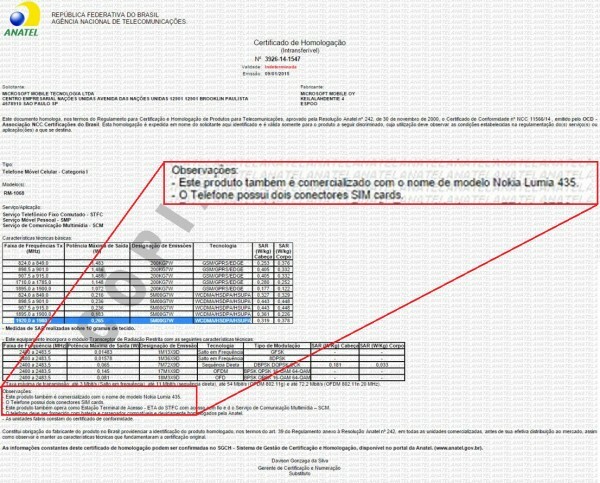 Other expected internals are a Snapdragon 200 and a 5MP rear camera. Little else is known about this new device, although it is expected to be appearing officially at Mobile World Congress in Barcelona in March. This is not the first time that the Lumia 435 has been spotted, as it had been seen on import logs in India and on the American FCC. Which would indicate that it should be made available globally.